Having two dogs at home is a wonderful experience. Not only they entertain you, but they also enjoy the company of each other. Like humans, dogs also wish to have friends. They also feel bored alone. If your dog is forced to spend long hours at home alone, it is a good idea to bring another one to give him some company. Although, adding another dog to the family doubles the responsibility, but also brings some handy benefits. Dogs have a natural tendency to socialize. They are descendants of wolves and used to live in well-organized packs. So, they are natural group species. Being alone can have many negative behavioral outcomes. If you are outside for work or busy for long hours your pooch may feel lonely. Destructive activities like chewing, excessive barking, depression, aggressiveness are few effects of loneliness. In such case, if they get companionship they will relieve the feeling of being alone. Dogs are active animals and exercise is fun for them. You can play with them up to a limit, but may be not up to their expectations. They want someone to roll over in mud puddles with them, wrestle with them and give a nice four-legged chase to them. If, you cannot take the risk of leaving them with other dogs, than getting another dog in-house is the only solution. Dogs are too emotional. Once, they get attached to your family, they never like to live without it. And, if they live alone for the most part of the day, they start getting depressed. An aggressive attitude is seen in many cases, when dogs are left unattended for long times. This separation anxiety can lead to many other psychological problems in your pooch. Bring another dog will keep your dog relaxed and secure. Moreover, your life will also become full. Dogs that live together learn from each other’s behavior. As your new pooch will start following the senior one and they will learn by observing the behaviors of each other. So, it becomes easy to impart new habits to them. Moreover, they can practice some skills with each other that they cannot do with you. It saves your time and energy. One more benefit of having two dogs is an added security factor. Even a small dog can make a thief run away by barking and two dogs barking simultaneously can be more effective. One dog might become less alert, or sometimes may be tricked by thieves. This risk is minimized with two dogs. Two dogs are more confident and they can chase away even a whole group of burglars. 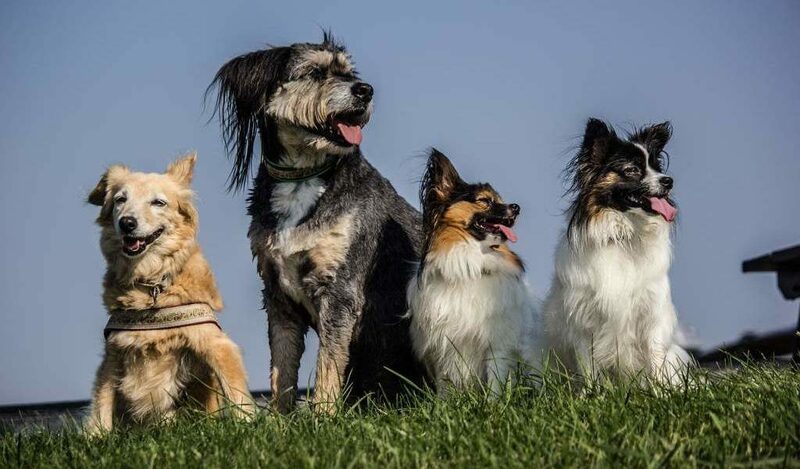 While possessing multiple dogs can have its benefits, it also can have its downsides. It will add to extra costs for food, treats, toys, grooming products and veterinary bills will double. You might have to training them initially. And handling two or more animals at times could be challenging and tedious. If your doggie is not friendly with the newcomer, it will be more troublesome. Especially if they encourage bad behavior in each other. Owning multiple dogs is a defiant NEXT LEVEL. So, before adding another one, you should check the affordability and be ready to give the extra time. Most importantly, it is your willingness to take that additional responsibility. In the end, having more than one pet is an amazing feeling and an awesome experience! !